Remember the days when you didn’t really know what went on in classrooms around the world … or down the street? We were separated by distance, time zones and logistics. Now educators can peer through the virtual window of other classrooms at any time to get ideas, inspiration, and form connections. A class blog is a fantastic way to offer a virtual window into your own classroom. But where do you find other class blogs to visit? 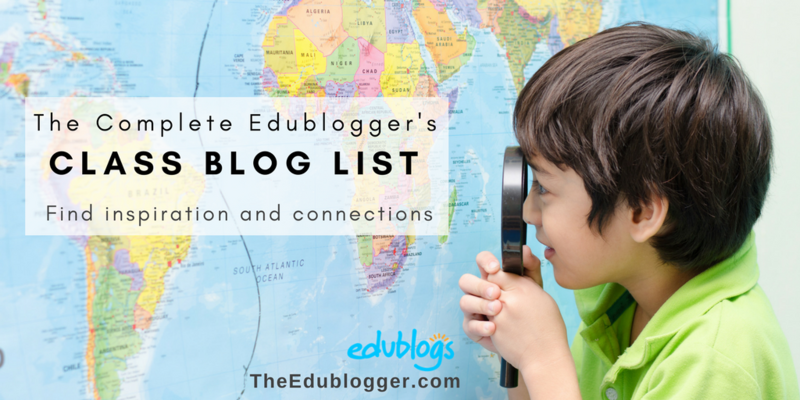 We have maintained a class blog list on The Edublogger since 2008 and it is always one of our most popular resources. Whether you’re looking for ideas on how other educators use blogs, seeking lesson inspiration, or wanting to make global connections, our class blog list is a handy reference to bookmark. If you’re a Pinterest user, check out our board where we have added some of the blogs from our current list of class blogs. We’ve just completed the latest update of the class blog list. We have removed blogs that have been deleted or haven’t been updated in the last 6 months. Is your class blog on the list? 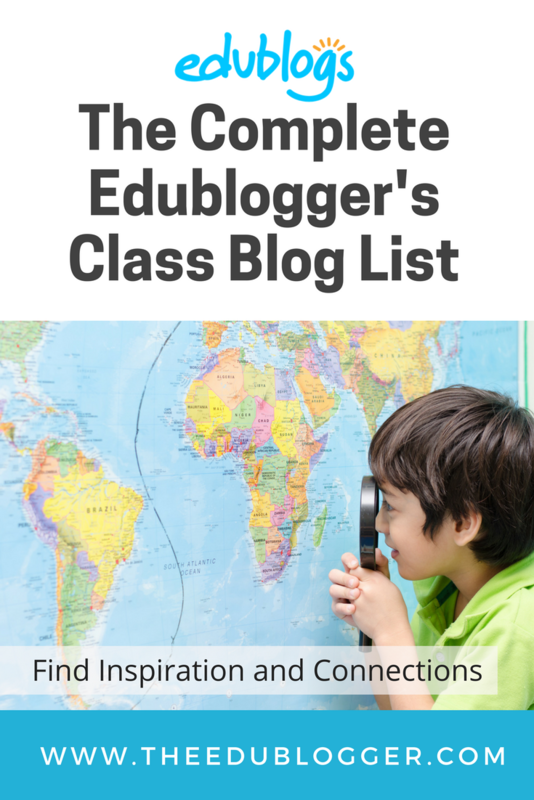 The complete Edublogger’s class blog list is embedded below. Orange is used to highlight blogs we’ve shared as noteworthy examples of different approaches to class blogging. Click on the blog title to visit the class blog! Is your class blog on this list but you have spotted inaccuracies or missing information? Please leave a comment on this post and let us know what details we need to update. Would you like to add your class blog to our list? Complete the following form. Your class blog must be public to be added to the list. We update the list approximately twice a year. We’d love to hear from you if you have found this list of class blogs helpful. Have you gathered an y inspiration or connections from visiting other class blogs? Let us know! My class blog is password protected. Can I share the password on the template? We would like to keep it password protected and not make it public, but I’m happy to share the password here for other teachers. I just filled out the google form. Our blog is new this year, but we think it’s pretty awesome! We love your enthusiasm for blogging and I’m definitely going to check out your blog! Unfortunately it wouldn’t be wise to publish a password online because this document can be accessed by anyone. Perhaps you could get in touch with a few classes on the list that look like a good match for you. Then if they’re interested in visiting your blog you could share your password with them privately? Sounds good. Thanks so much. Please add me (Jeff VanLandingham) to the teacher’s name column for my blog: Unblocking the Universe: Gifted Math and Science. Thanks for all you do! I appreciate the effort you put into this. I am preparing to teach Computer Science and would like to incorporate various technologies into my classroom. I will be able to use some of the classes you listed here for ideas. That’s great, Shawn. We also have a new post coming out very soon with more examples of how blogs are used in schools. Look out for it!